Comment: Looking for someone to first, scalp my bermuda lawn. Then cut when I'm not able to. Comment: Sprinkler pump electrical plug worn so system not run last year. Some spray heads broken. Comment: I need some stumps cut down. I have the mulch but I need you to put it down. And I need some fertilizer on my lawn. Comment: Just need grass cut, no other landscaping necessary. Comment: Just moved into a home and need the yard mowed and cleaned up to get ready for children. I would be interested in getting a quote for starting and maintaining a flower beds. Chesapeake Lawn Care Services are rated 4.68 out of 5 based on 2,596 reviews of 36 pros. 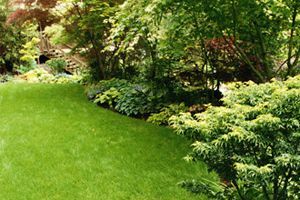 Not Looking for Lawn & Garden Care Contractors in Chesapeake, VA?